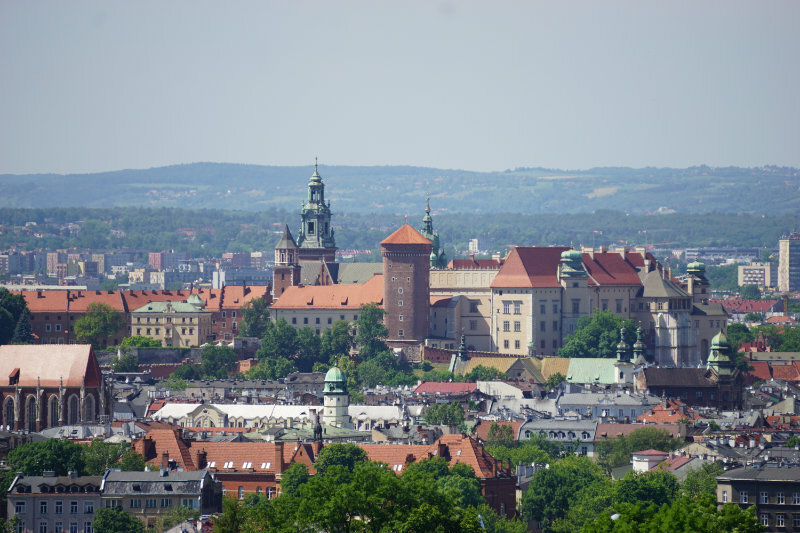 Looking for a viewing point in Krakow? We went on a quest for one and climbed the Krak Hill. A fantastic spot in the middle of the city, and completely free! It was not exactly easy to find, the Krak Hill. Our GPS led us to a busy road but didn’t bother to warn us of the newly built train tracks. Where it wanted us to turn right a massive construction side blocked our way. We walked further down the road and turned at another junction. We walked through a lovely residential area and then up a path that led up to the viewing point for free. Legend has it that Krak Hill is the tomb of King Krak, founder of the city. The people of the city supposedly erected a hill out of gratitude for his reign of justice. The Wanda Hill, approximately 10 km from the Krak Hill is said to have been erected for his daughter Wanda. The Krak Hill is 16 meters high and has a footprint of 60 meters. 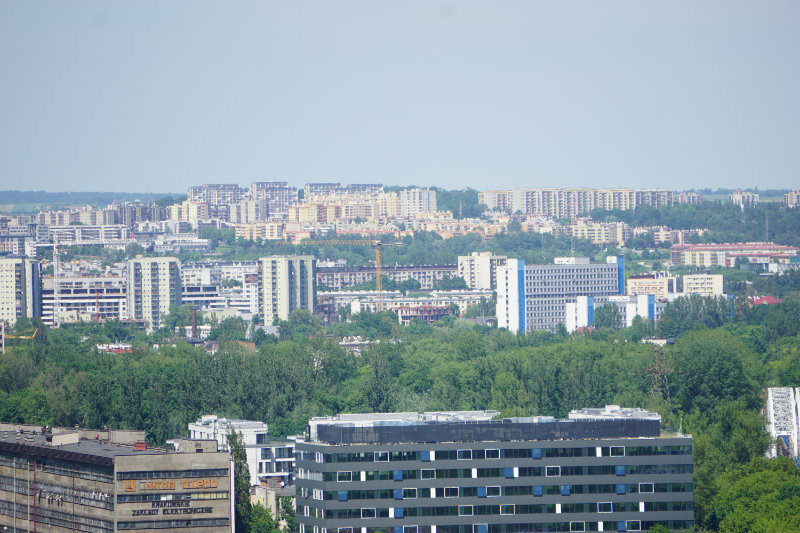 It is right of the Vistula in the Podórze district and part of the Krzemionki elevation. It is one of the oldest structures in the city and was probably raised in the 8th century. Archaeologists found a brass clasp buried under the hill that seems to prove that date. Other scholars theorised that the hill could have been connected to the astronomical calendar of the Celts. His position to the Wanda Hill is supposed to prove their theories. 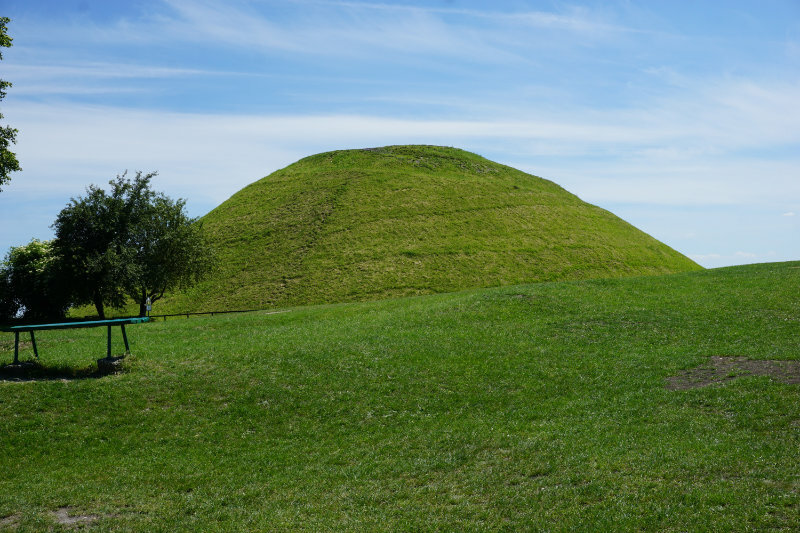 Other pointed out that possibly the hill could have played a role in Slavic burial rites. Scenic viewpoint in Krakow. For free. If the weather is nice the view right upon arrival on the lawn beneath the hill is already quite stunning. We even spotted a small sign that pointed to – unfortunately, In Polish only – the most important landmarks around the hill. To get even higher to the top of the hill, one only has to follow the little path that spirals all the way up. Once on top of the hill, it is noticeable that the top is not a naturally shaped crest. It is an even surface. The view from here over the city is wonderful. 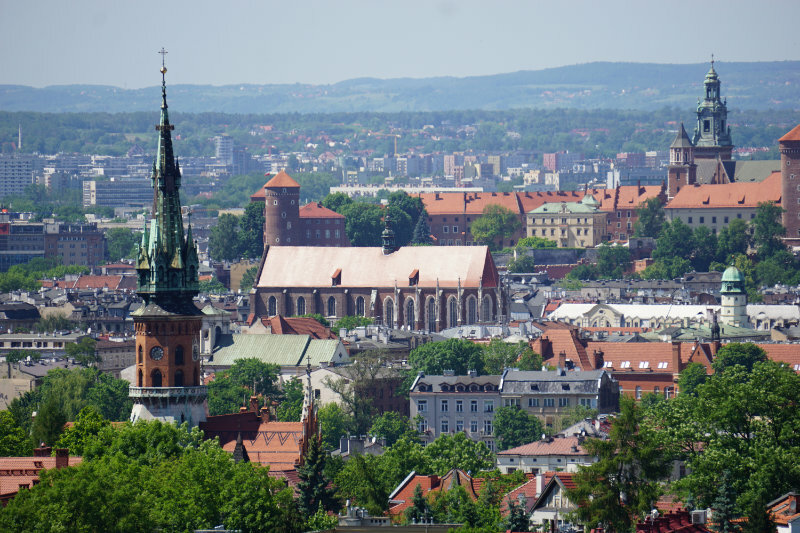 From Nova Huta to Wawel; there is plenty to discover! I found this view to be quite amazing!